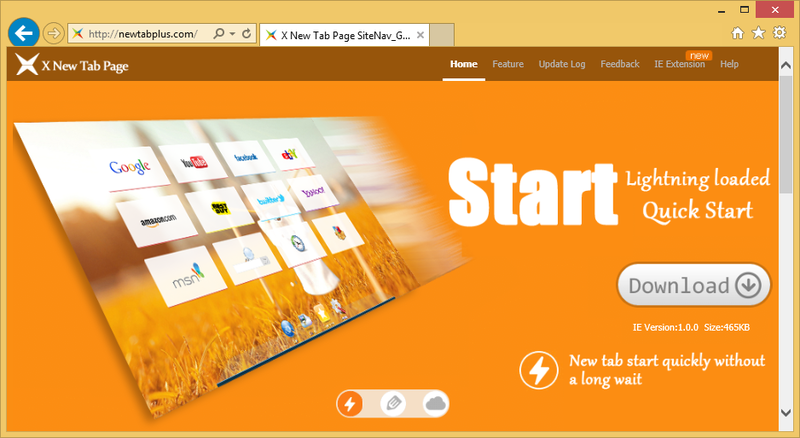 Newtabplus.com is a search engine that users find set on all their browsers after the installation of the extension called the New Tab Page. This extension sets a new search tool and changes the New Tab page. It means that you will see Newtabplus.com every day. Even though this website does not look bad and even allows users to access different websites with one click, it is not a good website that should be kept on browsers. To be frank, it might even cause serious harm to your computer. Therefore, you should go to delete Newtabplus.com from your Internet Explorer, Google Chrome, and Mozilla Firefox browsers today. If you know nothing about the deletion of browser hijackers and, consequently, do not know where to start to uninstall Newtabplus.com from the system, you should read this article to get more information about the Newtabplus.com removal. The main information is provided in the last paragraph, so if you are not interested why you need to remove Newtabplus.com, you should go straight to read the last paragraph and then erase this dubious website from browsers. Once the extension promoting Newtabplus.com is installed, Newtabplus.com sets itself on all the browsers. It does not look bad, so users do not hurry to remove it from their browsers. Of course, there are people who cannot stand the presence of Newtabplus.com and thus make a decision to get rid of it. In fact, users should delete Newtabplus.com not only because it is quite annoying, but also because it might cause harm by redirecting to untrustworthy websites. Specialists call a website untrustworthy when it contains links leading to third-party websites having bad links or promoting untrustworthy software. Users usually click on links leading to bad websites themselves because they are placed on the search results page of Newtabplus.com. Yes, Newtabplus.com works as a search tool, but do not keep it because of that because it is definitely untrustworthy. How did Newtabplus.com enter my system? There are only two ways Newtabplus.com is distributed. You have downloaded its extension from its official website, or it could have entered illegally your computer. This usually happens when a user downloads a software bundle from the web and installs it on the computer. Have you recently downloaded some kind of program from the web? If yes, the source you have downloaded it from must have been untrustworthy. How can I uninstall Newtabplus.com from my browsers? Newtabplus.com will not leave your browsers alone very easily. It is very likely that you will have to remove its extension from all the browsers to remove Newtabplus.com fully. If you do not even know where to start, we suggest going for the automatic Newtabplus.com removal because the deletion of extensions through the add-ons manager is not a very easy task. Besides, the legitimate anti-malware or anti-spyware tool will also find and delete all other computer infections which you might have on your computer but do not know about their existence.